First National Bank of Omaha said it will stop issuing an NRA-branded Visa card as the national debate over guns reaches a fever pitch. NEW YORK (CNNMoney) - First National Bank of Omaha said it will stop issuing an NRA-branded Visa card as the national debate over guns reaches a fever pitch. "Customer feedback has caused us to review our relationship with the NRA. 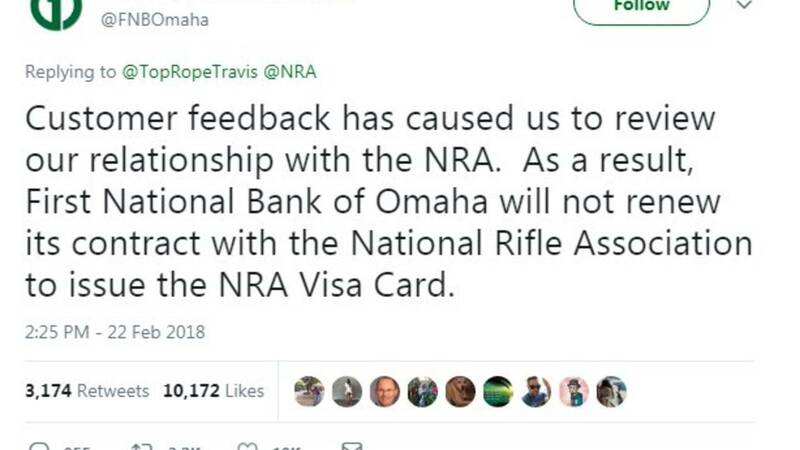 As a result, First National Bank of Omaha will not renew its contract with the National Rifle Association to issue the NRA Visa Card," spokesperson Kevin Langin said in a statement Thursday. The bank declined further comment. First National Bank of Omaha had been taking heat on social media due to its relationship with the National Rifle Association. Some users said they would move their business because it offered the branded Visa card. Visa stressed in a statement that it has no "contractual or financial relationship with the NRA," adding that financial institutions decide which organizations to partner with on Visa co-branded cards. "FNBO has informed us of its intention not to renew the NRA co-branded card program when its agreement with the NRA expires," Visa said. "We will support the issuer's efforts to wind down the portfolio smoothly." 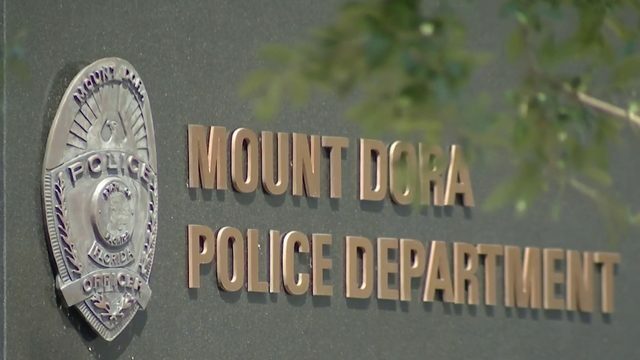 Controversy surrounding guns and gun violence has reached new heights since another mass shooting last week. Seventeen people were killed at a high school in Parkland, Florida. Since then, survivors of the shooting have joined with students across the country to press for tougher gun laws. It's not just First National Bank of Omaha that's being pressured to end its relationship with the country's most powerful gun lobby. Lists of companies that offer discounts to NRA members have been circulating on Twitter and Facebook. Activists say they want to know why these businesses won't cut ties with the NRA. Among those listed: The company that owns Enterprise, Alamo and National Car rental services, and FedEx. Both advertise discounts to NRA members. A spokesperson for Enterprise Holdings said the company had "ended the discount program, effective March 26," but did not answer CNNMoney's inquiries about when and why the program was terminated. FedEx declined to comment. Using the hashtag #StopNRAmazon, Twitter users are also threatening to stop buying products on Amazon, or cancel their Prime memberships, if the platform doesn't stop carrying NRATV on its streaming service. The channel is a forum for pro-gun conservatives like Dana Loesch, a spokeswoman for the National Rifle Association. NRATV host Grant Stinchfield dismissed the Twitter calls as an attempt to squash the First and Second Amendment. "I would hope that Amazon realizes, and these knuckleheads of social media realize, that the five million NRA members are the most patriotic and most pro-American members of our society," Stinchfield said to CNNMoney. "We have every right to be on Amazon." Amazon did not immediately return requests for comment. 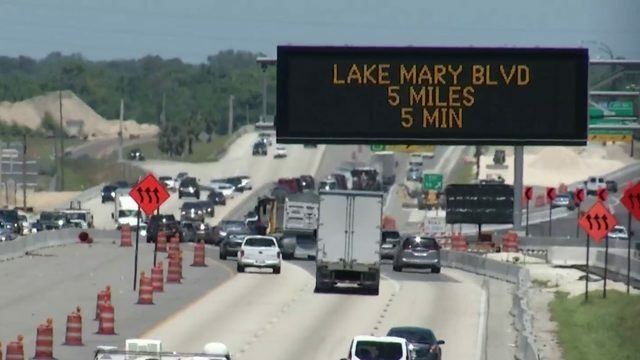 -- CNNMoney's Aaron Smith contributed reporting.